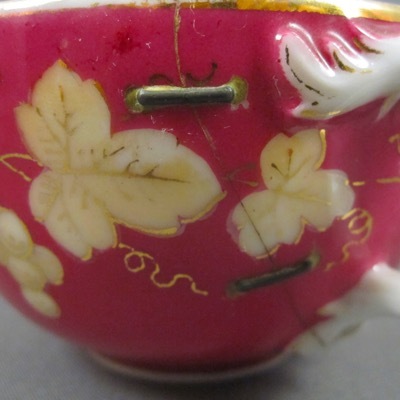 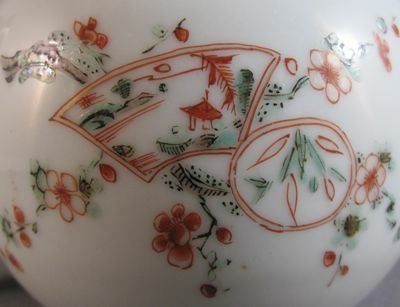 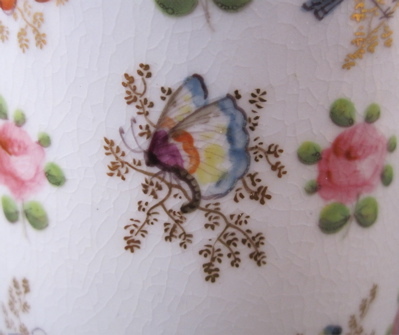 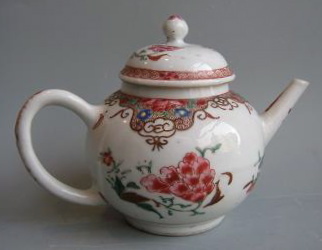 Someone must have really loved this much abused Chinese export porcelain teapot with globular form and famille rose decoration. 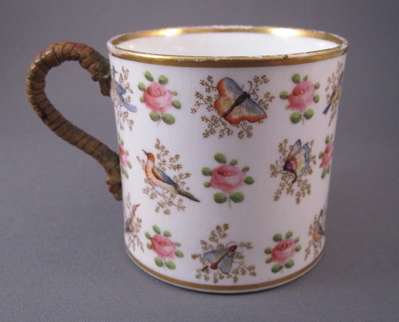 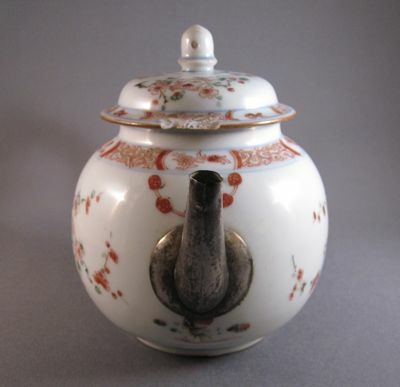 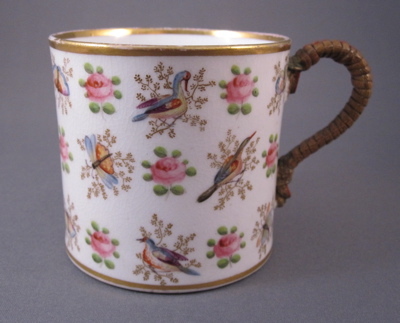 Not only does it have a severely chipped lid but it lost its original spout and handle sometime during its long life. 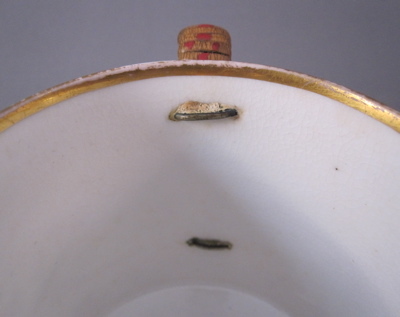 The same red and green enamel decoration is on both sides. 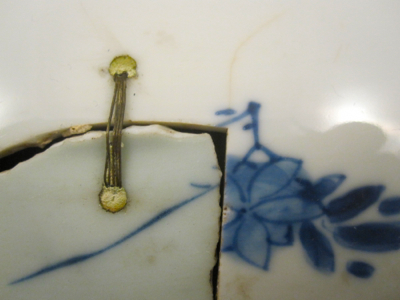 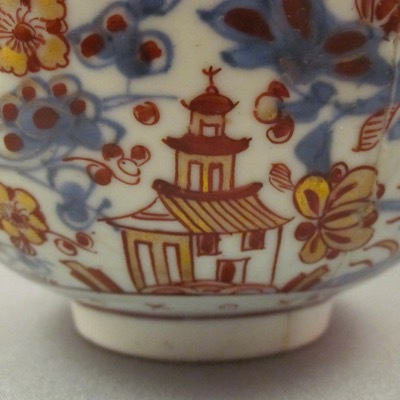 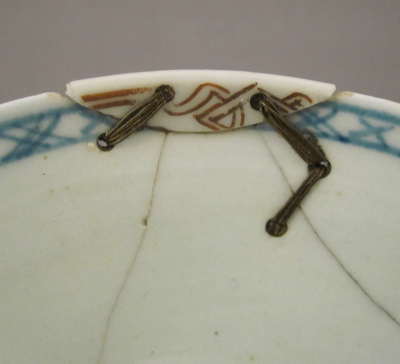 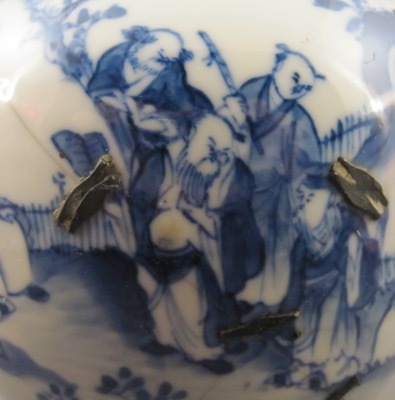 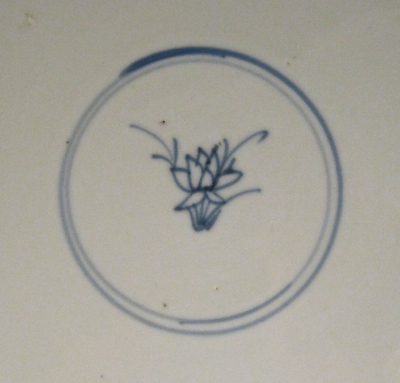 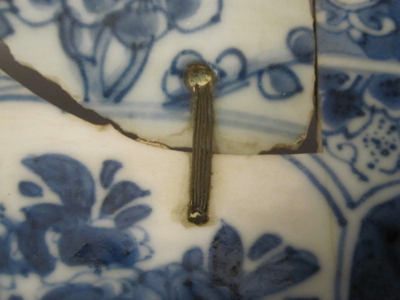 A loose, cartoon-like decoration is revealed upon closer inspection. 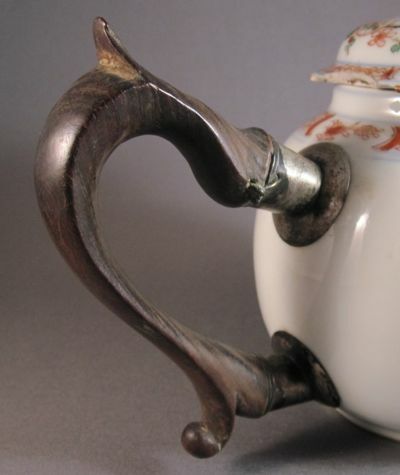 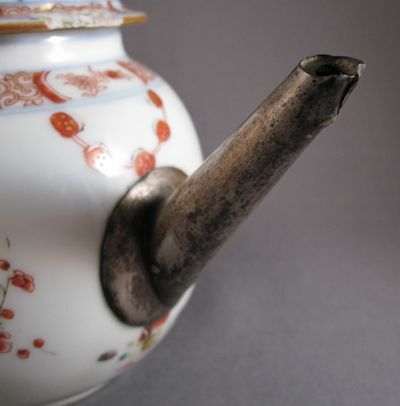 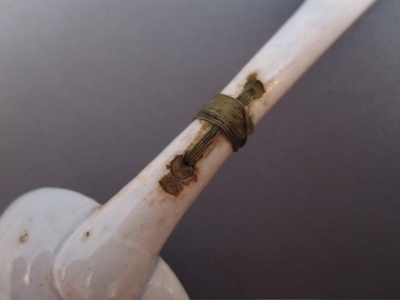 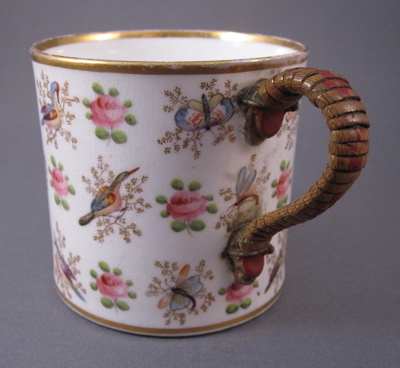 A silver plated spout replaces the original one, sometime in the late 18th to mid 19th century. 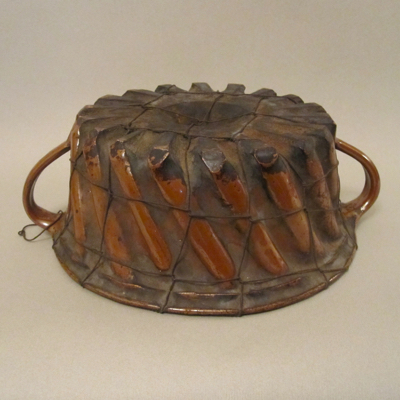 Surprisingly, the original lid with skep-shaped knob has survived, though it bears the battle scars of large chips along the outer edge. 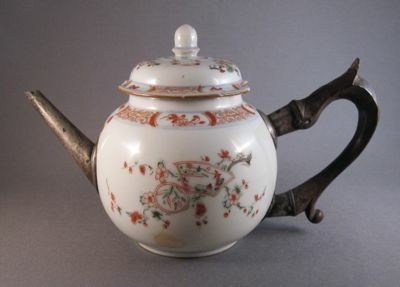 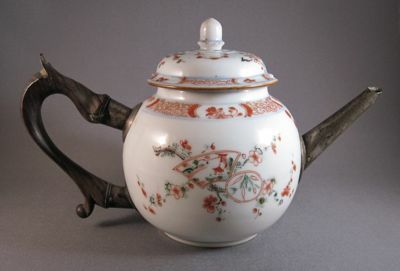 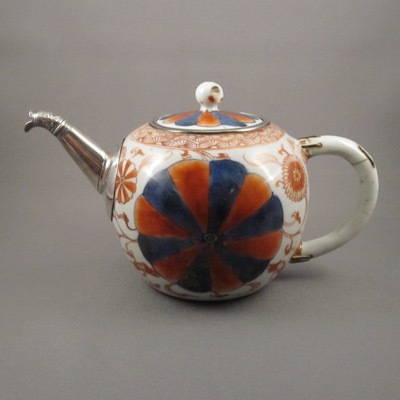 This teapot is in excellent condition and has both its handle and spout intact. 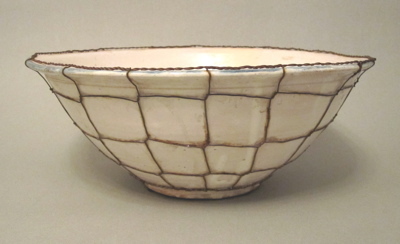 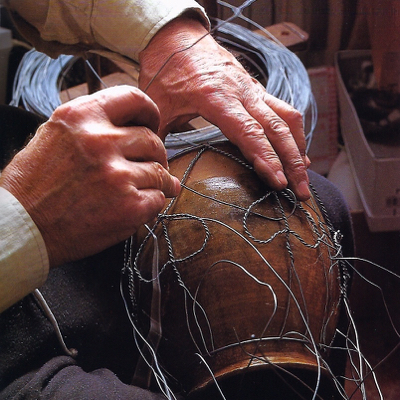 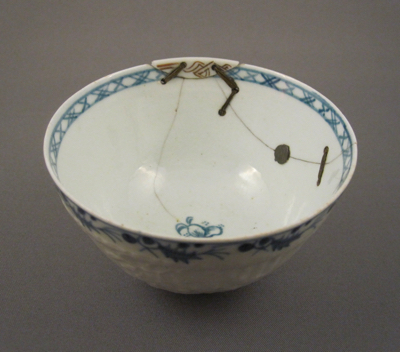 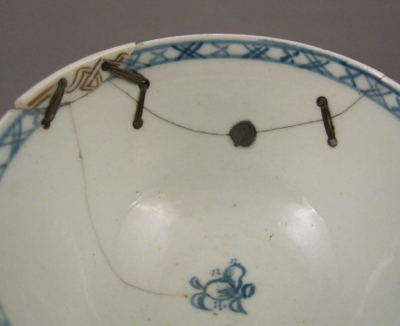 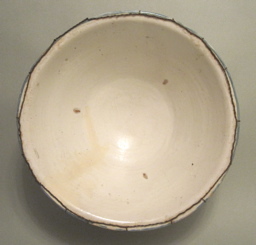 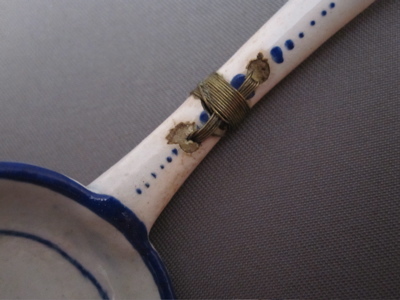 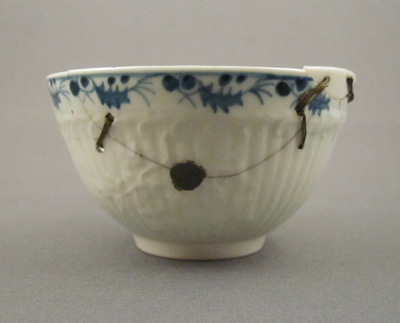 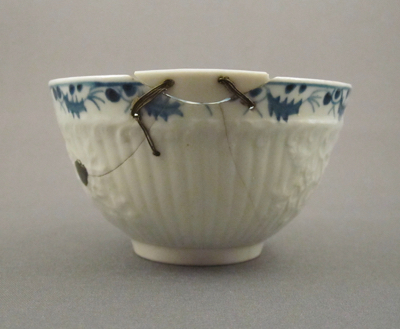 A triangular formation of unglazed bubbles on the inside show where the bowl was suspended on stilts during the firing. 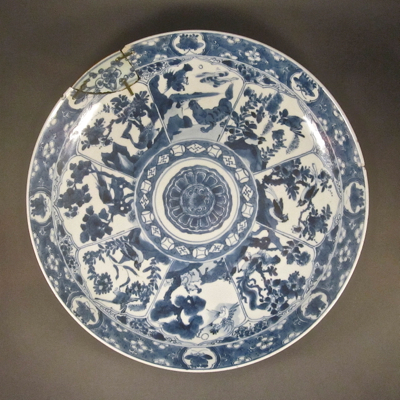 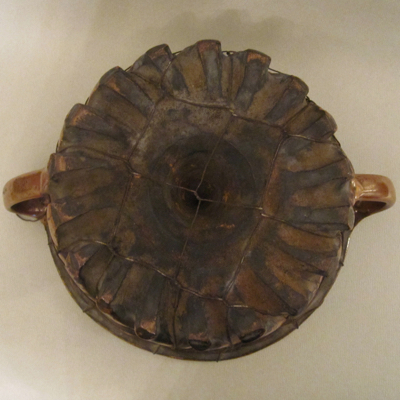 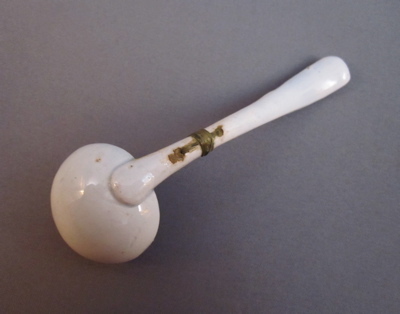 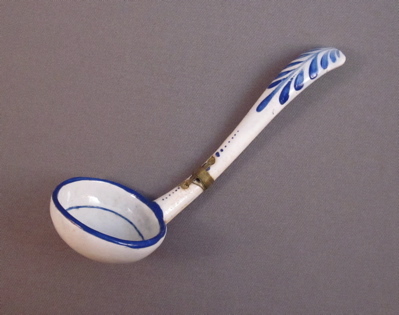 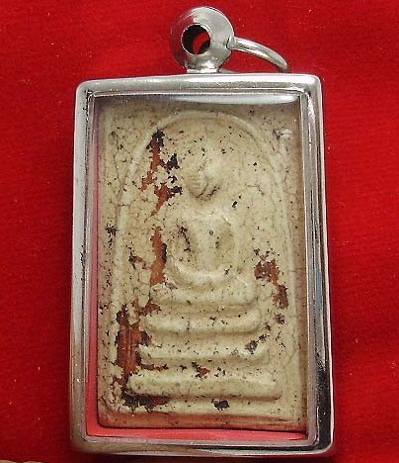 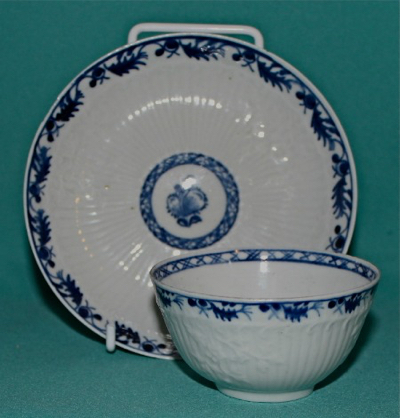 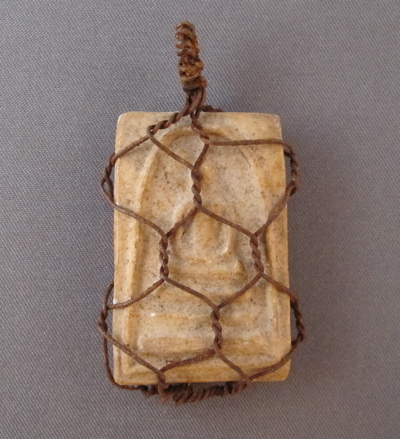 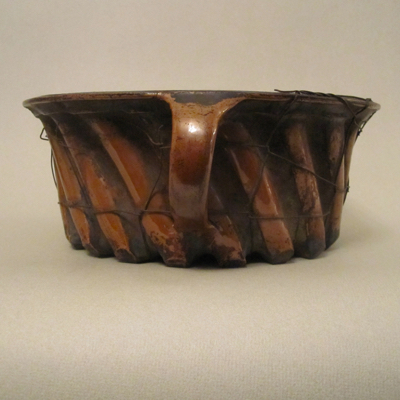 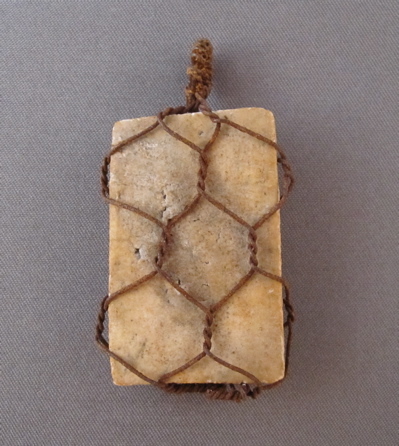 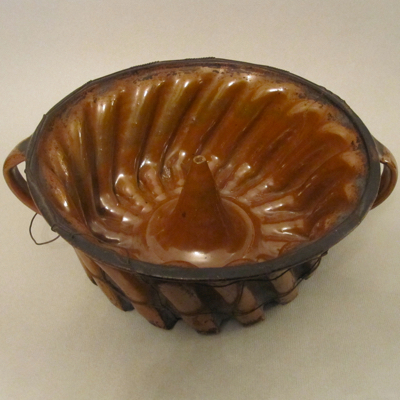 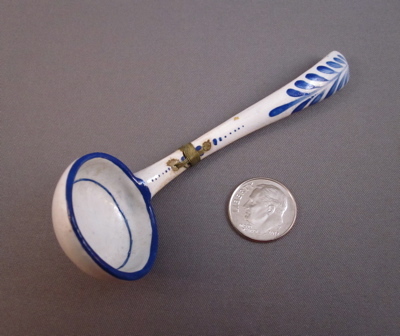 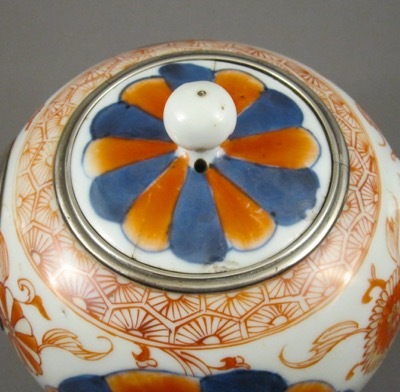 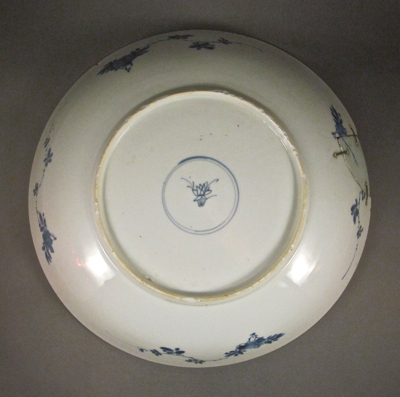 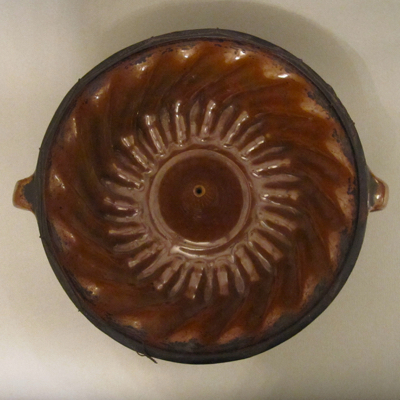 The bowl measures 6″ high and is 15-1/4″ in diameter. 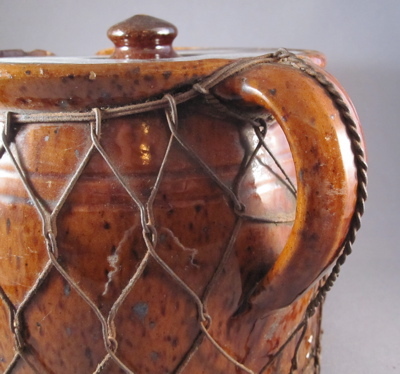 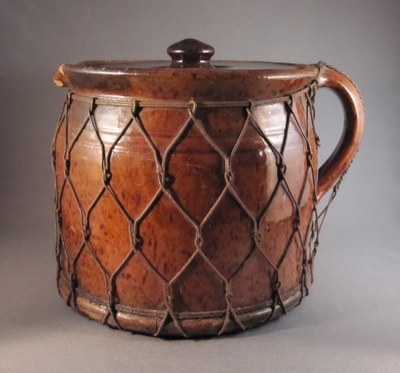 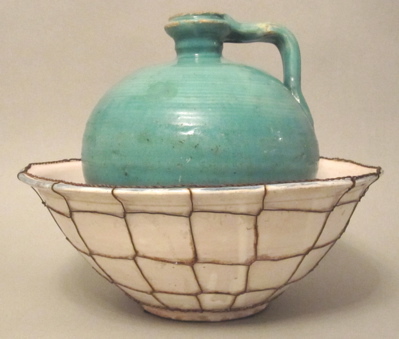 This 6″ tall cracked jug with a replaced mismatched lid and tin base, possibly from Pennsylvania, is covered in a web of hand woven wire. 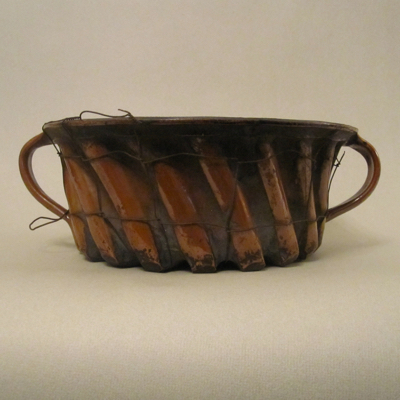 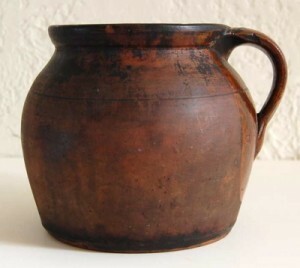 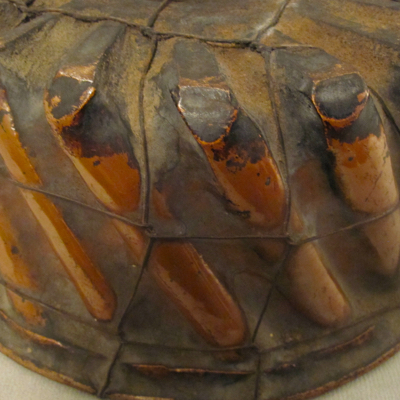 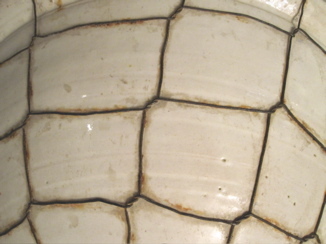 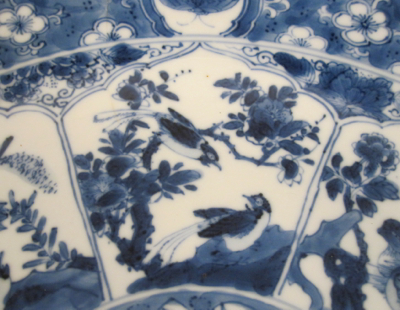 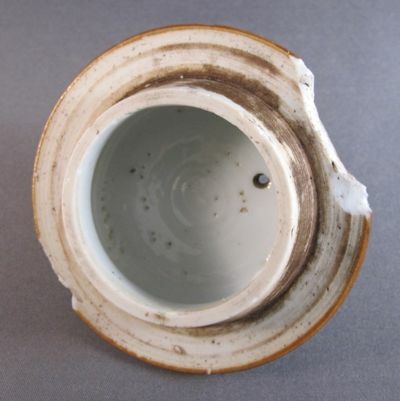 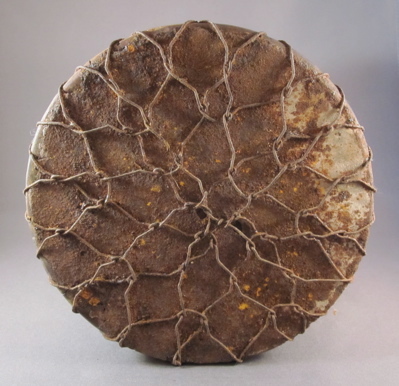 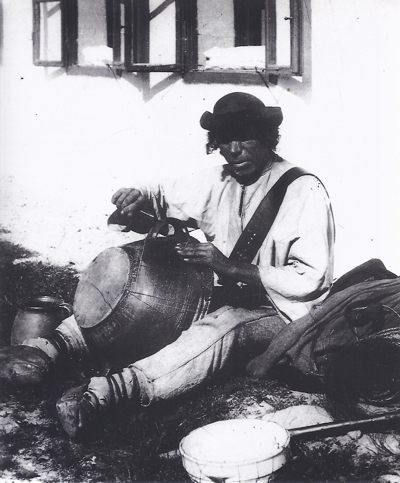 Redware pottery is earthenware made from red clay containing ferrous oxide, and the dark spots on the surface are a result of manganese in the glaze. 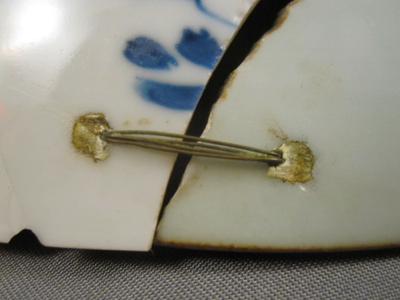 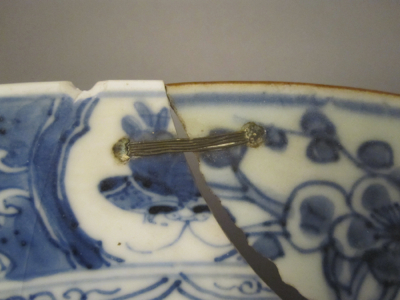 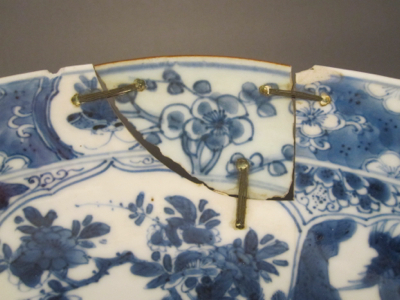 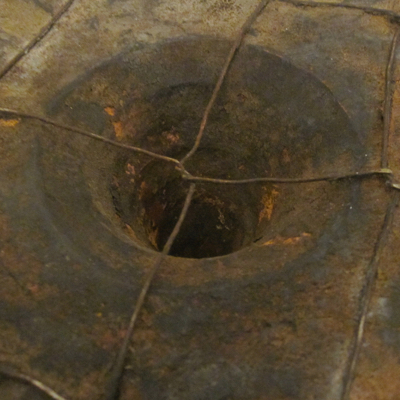 the cracked base was completely covered in wire and tin, now rusted. 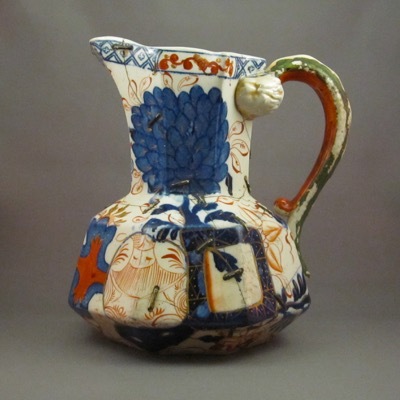 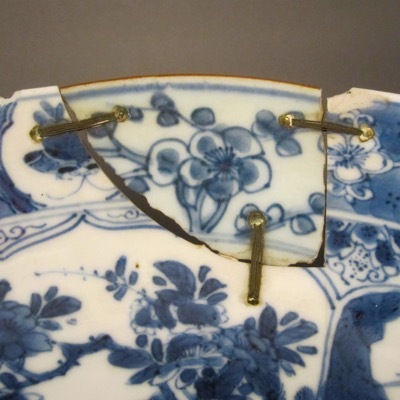 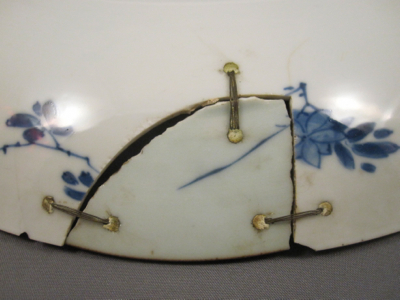 Please take a look at Tuscan pottery jug, another example of an earthenware jug with a similar repair. 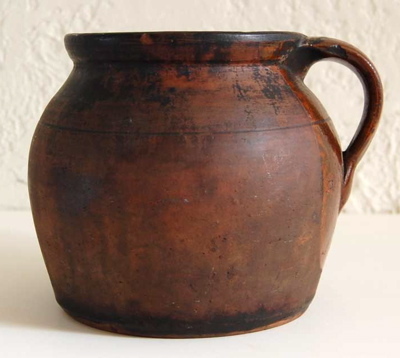 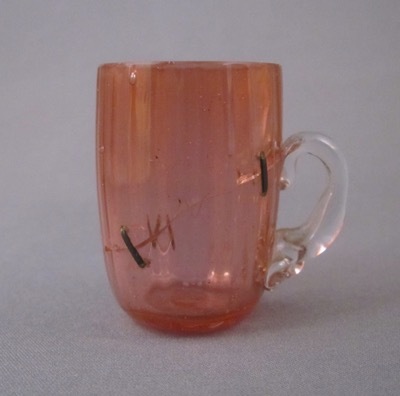 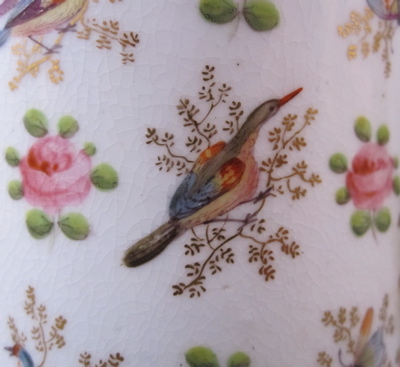 This antique redware jug with similar form is without cracks and wire reinforcement.